Esther writes a monthly ‘Living in Oxfordshire’ column Where the Grass is Greener for the OX magazine with a light-hearted touch. Prior to this, she was the pen behind The Oxford Mail’s weekly column Mothering Sundae, which offered a humorous insight into the life of a single mum juggling children and work commitments. This came to an end after two years when Esther married The Significant Other, a significant event which was itself covered by the OX magazine. Esther also writes the majority of feature pieces for Pick – The Family Magazine of which nearly 40,000 copies are printed and distributed across Oxfordshire each month by Fyne Associates. It contains articles written for different ages of school children, their mums, dads and grandparents, covering, local and national topics and many offer suggestions for activities within Oxfordshire and beyond. 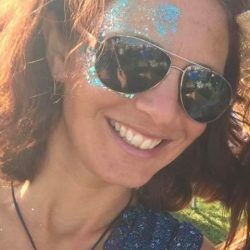 Esther also writes monthly pieces on social care for the Oxfordshire Guardian on behalf of Day and Nightcare Assistance with whom she works on recruitment and marketing.